A reader has just tipped me to some great news. It looks like all that doom and gloom over the death of Stanza last month was a little premature. 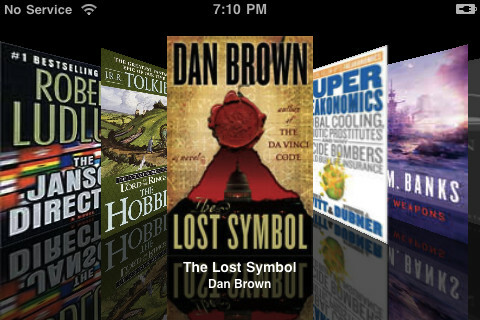 Amazon pushed out an update for Stanza today, and now it finally works under iOS5. Unfortunately, I've also just read that the new version of Stanza is broken on iOS4.3. So don't install it until after you update to iOS5. I'll admit that I feel a little foolish for proclaiming Stanza dead, but it's been nearly a month since iOS5 was released. Everyone else had their apps updated before iOS5 was released, and so far as I could tell Stanza wasn't even under development. I happen to know that there were a number of complaints about Stanza and the iOS5 beta release, and when I wrote about them back in August there was no response from developers. If someone had said that they were working on it, I would have waited. You probably know that Stanza used to be the great reading app for iOS. Back when the app was released in late 2008, it was quickly hailed as one of the first great successes of the platform. It was widely regarded as a breakthrough app that introduced a significant number of readers to the idea that they can read on their smartphone. The app was so good that I believe Amazon bought Lexcycle just to make sure no else snapped it up (Apple, maybe). Ever since they bought the app their support has been lackluster, and you can see that in the delayed release of the latest update. Even your non-regular users may know that Nate. Many of us learn things related to ebooks without your help. Sorry it it bugged you. I thought it sounded nice so I wrote it. nowhere in that statement is causation implied. Well, yes. I was surprised to get even this update. At least its (hopefully) another year of Stanza. Hopefully someone else will make something better (doubtful) by then. I love Amazon but this is one time I really hate they got their mitts on Stanza. Stanza is dead because Amazon.com has stabbed it in the heart, shot it, burned it and spread its ashes to the four winds. In April 2009 Amazon.com purchased Lexcycle, which developed Stanza. Obviously, Amazon.com has no interest in keeping a viable version of Stanza on the iPhone platform since they want to promote their recently launched Kindle app. So, they just let it become obsolete with a faulty 3.2 update instead. Your only chance is to downgrade to Stanza 3.1. You can do this by deleting Stanza 3.2 from your springboard and restore the saved Stanza 3.1 version from iTunes back into your iPhone. If you have already synced your iPhone to iTunes after upgrading to Stanza 3.2 then you have lost Stanza 3.1 on iTunes and the only other available option is to find a cracked Stanza 3.1 IPA on the internet, but you’ll need a jailbroken iPhone to install the app. I’m having difficulty with this, still. As an owner of a 3rd Generation iTouch, not an iPhone, my iTunes is for some reason not allowing me to download iOS 5.0.1 as yet, however, I accidentally updated my Stanza up from 3.1 to 3.2 and am now stuck in the middle with NO books at all! People have tried to help me by giving me a downgrade link to 3.1, but so far unsuccessful. Does anyone here have any idea how I can either a) download iOS 5.0.1 successfully, or b) revert back to a Stanza version that is compatible with an earlier iTunes software update?? I found a way to restore it. I just deleted the updated app from my iTunes and Ipod. went into my recycle bin and restored the 3.1 version. Then you go into your iTunes Media App folder double click the file. It will then show up in iTunes and all you need to do is sync your ipod/iphone and everything is back to normally. Of course you have to re-upload your books but your sanity will be restored. If anyone needs the old version. I will be more then happy to email it to them so they can restore it. I’m on Twitter under Markyami. …I think I’m going to hug you. So, yeah. re-adding my books is going to be a pain, but…THANK YOU THANK YOU THANK YOU THANK YOU!!!!!!!! I had this problem with my 2nd gen iPod touch – found my old copy of Stanza 3.1 and used iFunBox to re-install it without deleting 3.2. Worked perfectly and all my books are still there.